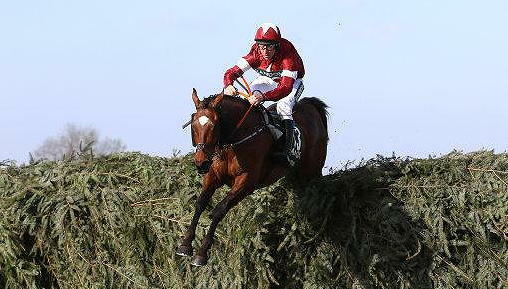 *Tiger Roll is the 4/1 favourite with Betway, official betting partner of the Randox Health Grand National Festival. *Aiming to become the first back-to-back winner of the Randox Health Grand National since Red Rum (1973, 1974, 1977), following his head victory over Pleasant Company in 2018. *He is 9lb higher in the handicap this year, with a rating of 159 for the 2019 Randox Health Grand National. But his current official rating has leapt to 167, meaning he is 8lb well in. *Four-time Cheltenham Festival winner who looked as good as ever, if not better, on his latest appearance when taking the Glenfarclas Cross Country Chase impressively by 22 lengths on March 13, a race he also captured in 2018. His other Cheltenham Festival successes came in the 2014 G1 JCB Triumph Hurdle and 2017 G2 National Hunt Chase. *Away from Cheltenham, he has enjoyed victories in the 2016 Munster National at Limerick and the 2019 G2 Boyne Hurdle at Navan. *Bought from Sheikh Mohammed's Darley operation by trainer Nigel Hawke as an unraced three-year-old and subsequently scored on his hurdling debut at Market Rasen in September, 2013, after which he was purchased for £80,000 by Mags O'Toole on behalf of Gigginstown House Stud. *A stable favourite at Gordon Elliott's yard, Tiger Roll was once described by owner Michael O'Leary as "a little rat of a thing". Gigginstown House Stud, covering over 1,000 acres at Delvin near Mullingar, Co Westmeath, Ireland is the residence of Michael O'Leary, chief executive of Ryanair, Europe's largest budget airline. O'Leary was born on March 20, 1961, the second of six children, and educated at Clongowes Wood College in County Kildare before reading business studies at Trinity College Dublin. He was a tax consultant at accountants KPMG (1984-86) and became financial adviser to Tony Ryan, founder of Ryanair. He progressed to be Ryanair's deputy chief executive in 1991 and chief operating officer in 1993. He has overseen the rapid development of Ryanair since 1994 when he became chief executive, and his worth was valued at £908 million in the 2018 Sunday Times Rich List, thanks mainly to his significant shareholding in Ryanair. He has often been a controversial figure in business, thanks to outspoken opinions and a penchant for generating publicity. In March, 2019, he announced that he will step back from the day-to-day running of Ryanair to take on a more strategic and overseeing role. Racing interests: O'Leary started off with horses in training on the Flat with David Wachman and Mick Halford, but he has rapidly become a major Jump owner with a string only rivalled by fellow Irishman J P McManus. His horses run under the Gigginstown House Stud banner. He used to have many horses with Ireland's top Jump trainer, Willie Mullins, but took all 60 away in September, 2016, after a row over training fees. His team of over 250 horses in training in Ireland, is split between mainly Gordon Elliott, Henry de Bromhead, Noel Meade and Joseph O'Brien. His racing enthusiasm was boosted when one of his first horses, War Of Attrition, won the 2006 Cheltenham Gold Cup. His 27 Cheltenham Festival winners, including one this year, also feature the 2016 Cheltenham Gold Cup hero Don Cossack. O'Leary won the Randox Health Grand National in 2016 with Rule The World, trained by Mouse Morris and previously without a win over fences, and again in 2018 with Tiger Roll. O'Leary's brother Eddie, based at Lynn Lodge Stud in Mullingar, oversees the Gigginstown racing operation; the young horses are brought along at Pat Doyle's County Tipperary stables and in point-to-points. Gigginstown has had retained jockeys, notably Davy Russell and Bryan Cooper, but neither lasted in the job. However, Russell has returned to ride plenty of Gigginstown horses, including two winners at the 2018 Cheltenham Festival and Tiger Roll in the 2018 Randox Health Grand National. Gigginstown has owned three of the last four winners of the three mile, five furlong Irish Grand National at Fairyhouse, usually run two weeks before the Randox Health Grand National - Thunder And Roses (2015), Rogue Angel (2016) and General Principle (2018). O'Leary married former banker Anita (Farrell) in 2003 and they have four children. Randox Health Grand National Record - 15: 2009 Hear The Echo (Fell 30th); 2012 Tharawaat (8th); 2014 Quito De La Roque (PU 21st); 2015 First Lieutenant (16th); 2016 RULE THE WORLD (WON), First Lieutenant (Fell 2nd), Sir Des Champs (Fell 15th); 2017 Roi Des Francs (18th), Rouge Angel (PU 30th), Wounded Warrior (PU 28th); 2018 TIGER ROLL (WON), Road To Riches (6th), Valseur Lido (8th), Alpha Des Obeaux (Fell 15th), Thunder And Roses (PU 26th). Born: March 2, 1978, in Summerhill, Co Meath Background: A very successful point-to-point rider, Elliott also partnered 46 winners as an amateur under Rules. He started his racing career while still at school, working at Tony Martin's stable in County Meath. He moved to Britain, joining Martin Pipe in 1997, and learnt a lot during his spell in Somerset. His biggest victory as a rider was on board King's Road, trained by Nigel Twiston-Davies, in the 1998 Punchestown Champion Bumper. After commencing handling point-to-pointers, he started his main training career from Capranny Stables in Trim, Co Meath in early 2006 and bought the 78-acre Cullentra House Farm, Longwood, Co Meath, in 2011, where the facilities have been built up from scratch, with a capacity of over 200 horses, two gallops, three schooling grounds, an equine pool, a natural spa and more. The trainer has emerged over the last few seasons as the main challenger to Willie Mullins' dominance in Ireland and had a major boost when receiving the pick of 60 horses that Gigginstown House Stud removed from Mullins in September, 2016. Elliott is part of a select group of trainers to saddle a winner at both the Cheltenham Festival and Royal Ascot, having sent out Commissioned to land the Queen Alexandra Stakes at the prestigious Flat meeting in June, 2016. He also sent out Dirar to win the Ebor Handicap at York in 2010. Training Career: Elliott's first runner under Rules came at the 2006 Cheltenham Festival, when Brandon Mountain was pulled up in the Fred Winter Juvenile Novices' Handicap Hurdle. He continued to send runners over to the UK and enjoyed almost instant success, most notably with Arresting, who notched up four victories between May and July, 2006. Elliott's Grand National victory with Silver Birch in April, 2007 was remarkable not only because he was just 29 at the time, but also because he had yet to saddle a winner in his native country. The winners in Ireland soon followed and Elliott gained an initial G1 victory with Jessies Dream in the Drinmore Novice Chase in December, 2010, and celebrated his first Cheltenham Festival successes in 2011 with Chicago Grey in the National Hunt Chase and Carlito Brigante in the Coral Cup. His Cheltenham Festival haul now stands at 25, following three wins this year, and includes Don Cossack's victory in the 2016 Cheltenham Gold Cup. He was the leading trainer at the Cheltenham Festival for the first time in March, 2017 with six successes. Elliott plundered his second leading trainer award at The Festival in 2018 following a remarkable record-equalling eight winners over the four days, emulating Willie Mullins' best - eight wins at The Festival in 2015. Elliott has finished second to Mullins in the Irish Jump trainers' championship for six consecutive seasons and is on course to do so again this term, though he set a new record for the number of winners (210) in an Irish Jump season in 2017/18, eclipsing the previous best of 193 set by Mullins. For the third season in succession, Elliott has emulated one of his mentors, Martin Pipe, as the only other Jump trainer to saddle more than 1,000 runners. First winner as a trainer - Arresting, Fugro-Technip Handicap Hurdle, Perth, June 11, 2006. Randox Health Grand National Record - 16: 2007 SILVER BIRCH (WON); 2009 Silver Birch (FELL 22nd); 2010 Backstage (UR 20th); 2011 Backstage (10th); 2012 Tharawaat (8th), Chicago Grey (BD 5th); 2013 Tarquinius 8th, Chicago Grey (PU 30th); 2015 Cause Of Causes (8th); 2016 Ucello Conti (6th) 2017 Cause Of Causes (2nd), Roi Des Francs (18th), Ucello Conti (UR 22nd); 2018 TIGER ROLL (WON), Bless The Wings (3rd), Ucello Conti (UR 27th).